Back in the day, moviegoers called chick flicks “women’s pictures.” Make sure you have a box of tissues handy as you watch these melodramatic tearjerkers. For an excellent discussion of the genre, visit AMC’s filmsite.org. Director William Wellman served in France during WWI with the Lafayette Flying Corp. 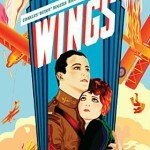 He put this experience to good use in the 1927 WWI movie Wings, winner of Best Picture at the very first Academy Awards ceremony. Wellman’s war movies bring war down to the human level. 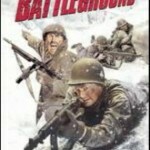 The 1949 movie Battleground tells the story of the Battle of Bulge from the point of view a company of the 101st Airborne. The men are moved around in the snow from unknown point to unknown point, trying to keep warm, scrounging for something to eat, hoping not to lose another friend. They don’t even know for sure what country they are in. Never was comic timing and sight gags at such a high point as in the silent movies of these comic geniuses. Buster Keaton in The Navigator (1924). Spoiled rich boy Rollo Treadwell and his equally spoiled neighbor Betsy O’Brien find themselves adrift in the ship The Navigator. The two hapless drifters are at first completely at a loss when they have to try to feed themselves by opening cans of food or boiling water, but as the time goes by, they devise clever management skills and learn to work together to fight off swordfish and cannibals. Charlie Chaplin in The Gold Rush (1925). The little tramp, Chaplin’s signature character, goes to the Klondike in search of gold. There he survives the bitter winter, makes his fortune, and wins the girl. Along the way he enjoys the famous boiled leather dinner and performs the dance of the dinner rolls. Harry Langdon in The Strong Man (1926). At the end of WWI, a little, mild-mannered Belgian immigrant comes to America looking for his beloved pen pal, Mary Brown. All he knows is that she lives in America. He joins in the stage act of fellow immigrant Zandow the Great, the Strong Man, going on in his stead when Zandow is incapacitated. Langdon also performs his famous backwards climb up the stairs. Directed by Frank Capra. Harold Lloyd in The Kid Brother (1927). Harold Hickory is the youngest and scrawniest of the Hickory boys whose father is the town sheriff. When his father is accused of theft, Harold sets out to prove to his family, his girl, and his town that he is the equal of any Hickory in Hickoryville. I have a theory that Johnny Depp does some of his best work in films with titles that include the names of people. 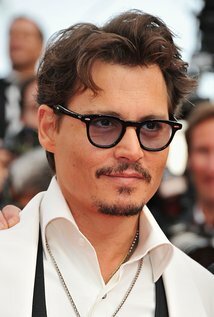 This extraordinary actor has done wonderful work in such movies as Benny and Joon (goofy), Edward Scissorhands (heartbreaking), What’s Eating Gilbert Grape? (sensitive), Don Juan DeMarco (playful), Ed Wood (endearing), Donnie Brasco (subtle and gritty). Even if you don’t care for the movie, you can appreciate the performance. Whether funny, animated, chewing the scenery, or quietly effective, he rarely disappoints. Take a look at his full filmography. 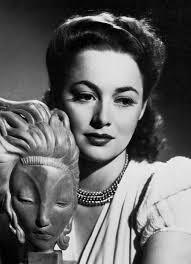 What, Olivia de Havilland, Melanie of Gone with the Wind, Maid Marion of The Adventures of Robin Hood in a comedy? Several, actually. Try these. Leslie Howard plays Basil, an egotistic Broadway star in a drama filled relationship with Joyce, his leading lady, played by Bette Davis. Enter Marcia, a star struck society girl played by de Havilland, and the fireworks begin. Maggie Richards, played by de Havilland, is a spoiled rich girl who storms out of her house in a rage, borrowing a car in her escape. When she runs out of gas, she finds she doesn’t have the means to pay up and spends the rest of the day cleaning the motor court cabins. Vowing revenge against Bill, the motor court attendant, she plots an elaborate plan to build him up and then bring him down to size. Henry Fonda plays Tommy, a literature professor at Midwest University, and Ellen, played by de Havilland, is his lovely young wife. When her old beau Joe, the former star of the football team, played by Jack Carson, visits for homecoming weekend, Tommy gets jealous. What do women want from the male animal, brains or brawn? I watched Tender Mercies (1983) again, recently. It’s one of my favorite “little” movies. I realized as I watched it that Robert Duvall is one of those actors who make you forget you are watching someone performing a role. He has that special ability to make his characters real. His performances as Boo Radley in To Kill a Mockingbird (1962), Jackson Fentry in Tomorrow (1972), Tom Hagen in the first two Godfather movies, Frank Hackett in Network (1976), Lt. Col. Kilgore in Apocalypse Now (1979), Bull Meechum in The Great Santini (1979), Mac Sledge in Tender Mercies, Gus McCrae in Lonesome Dove (1989), and Sonny Dewey in The Apostle (1997) rank as some of the finest acting ever put on film. It is an impressive body of work. He has had several Oscar nominations including one for his performance as a military man and father in The Great Santini and he earned his first Academy Award for Best Actor in Tender Mercies. Pick one to watch and see if you don’t agree that he is one of the best. Some of his most acclaimed films are To Kill A Mockingbird, M*A*S*H (1970), Lonesome Dove, The Godfather I and II, True Grit (1969), Apocalypse Now, and the TV miniseries Lonesome Dove. Who is Ben Affleck anyway? After an early start at the age of eight, starring in the PBS series The Voyage of the Mimi, Ben Affleck didn’t make his big introduction into feature films until 1993 when he was cast in Dazed and Confused. After that, he did mostly independent films like Kevin Smith’s Mallrats (1995) and Chasing Amy (1997). Interestingly, in the same year he made Mimi, Affleck made the acquaintance of Matt Damon, a boy two years his senior who lived down the street. The two became best friends and, of course, eventual collaborators. In his early years in Hollywood, tired of being turned down for the big roles in films and the forgettable supporting ones he did play, he decided to write his own script. Matt Damon was having the same trouble and together they produced a script with the kind of roles they wanted to play! Good Will Hunting (1997) was the result and it went on to win two Academy Awards (nominated for nine). Career ups and downs followed with much media attention to romance and rehab. After many flops, he seems to have re-invented himself as a director. He’s has earned critical acclaim for directing films including The Town and Argo so perhaps Affleck’s greatest talent lies behind the camera where reviews of his films call him ”a sensitive, thoughtful and collaborative” director. I love to visit Europe. And in between those rare trips, I enjoy learning more about a new place. So whether you’re an armchair traveler or planning your next vacation, we have the DVDs to get you started on the right path. Samantha Brown hosted Passport to Europe on Travel Channel. Check out the DVDs on France & Italy or England, Ireland, & Scotland. Each set contains 22 minute episodes on different regions in each of the countries listed. As your guide, Brown presents a charming mix of history and entertainment. And then, of course, there is PBS darling and European travel guru Rick Steves. For the past 40 years, he’s spent about one-third of each year traveling throughout Europe. Take advantage of his expertise by checking out one of the Rick Steves’ Europe DVDs. The 30 minute episodes from 2000 to 2012 traverse the continent from old favorites England and France to newer shows on Sweden and Croatia. See episodes arranged by country with this complete guide to shows.